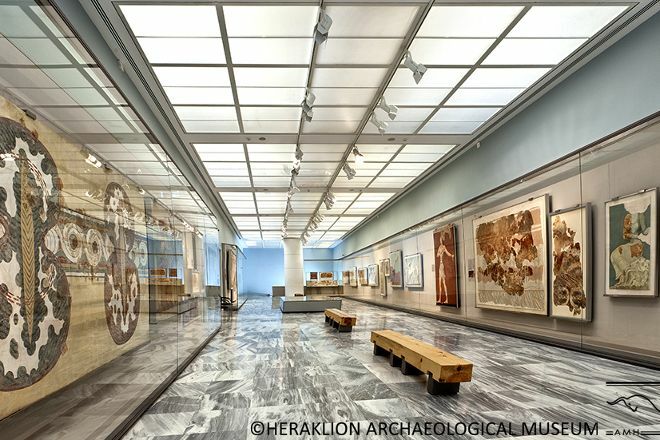 A vanished culture comes alive at Heraklion Archaeological Museum, which holds the remains of the 3,000-year-old Minoan civilization. The museum's famous collection of artifacts spans more than five millennia, from the Neolithic period to Roman times. The museum's twenty rooms display the most important and representative finds uncovered at several different excavation sites on Crete, including an enigmatic clay disc from the second millennium BCE. Its meaning and purpose have been disputed since its discovery in 1908; the disc remains one of archaeology's most famous unresolved mysteries. For a better understanding of the lost culture represented here, opt for a guided tour of the collection plus a visit to the archaeological sites near the city. Plan a trip to Heraklion easily and quickly by telling Inspirock to suggest an itinerary. The visits are done, either. 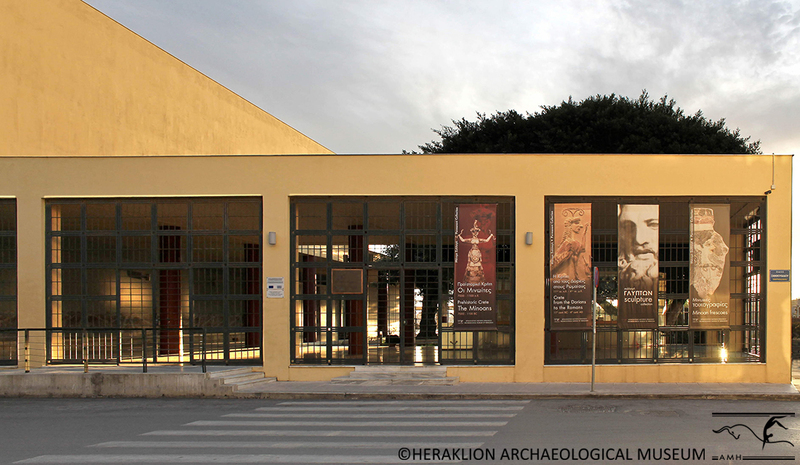 Combined ticket with a euro more allows you to visit the Museum in the Centre of Heraklion. Some originals of Knossos were brought here. Explanatory panels and guides available if you want to delve into. Arriving in Heraklion on a cruise you can not do without visiting one of the most beautiful archaeological museums in the world. It takes at least two hours to visit him but, if you have more time, you can linger longer in several rooms, very nice and spacious where concentrates an amazing amount of artifacts from prehistory to Minoan, reaching to a Hall with statues and sarcophagi of and Ty romana. On the 1 St floor there are the rooms with frescoes recovered from the Palace of Knossos, unfortunately son were fragments of frescoes that decorated many rooms of the Palace. There are many descriptive panels which contextualize each Hall, the most important finds are highlighted in transparent caskets in the center of each room. I highly recommend it. In combination with a visit to Knossos, it is worth to buy a combination ticket for entrance to the Palace and the archaeological museum. While the Palace of Knossos demonstrates how the Minoans in the context have built an imposing Palace at that time, the Museum emphasizes the Minoan culture interesting exhibits from this period. Many of the frescoes found in Knossos can look in the Museum in the restored original. Very nice, the exhibits illustrate the importance of Minoan culture to the development of our modern society. You can put only each heart visit the Archaeological Museum of Heraklion. The exhibition is really very. This is a very beautiful museum. It’s a nice accompaniment to the Palace of Knossos. There is very little description along with the artifacts so it’s helpful to go on a guided tour. Some of the artifacts have no protection so guards always yelling at people. I can’t imagine the amount of caress people they see though. Very cool, air conditioned. The gift shop is very tiny. Incredible! An absolute must see. Prepare to be scolded though...lots of shushing and rules not mentioned. Don't touch the glass. Not even accidentally. We still have a good giggle about it. People were getting in trouble left and right. Our favourite line: No fun poses! But wow, the artifacts are awe inspiring and though provoking. I highly recommend taking in this museum. Incredibly interesting, a wide variety of impressive exhibitions through thousands of years. Some of the pieces are simply amazing. 4000 year old artifacts in exceptional condition. Fantastic value if the combination ticket is bought to see Knossos as well (although it's on a different site). Gift shop is a bit lacklustre if there has to be a criticism, but you can still get some very reasonably priced reproductions of Minoan relics. Superb after renovations. Arrive by 8.30 to enjoy most of the visit without crowds. Buy ticket in advance of you wish: combined with Knossos is best value, and has 3 days to use. My preference is to visit before Knossos so the site has some historical context to it. Photography is allowed without flash except where signs in the case make clear "unpublished- no photographs". Local guides available on site but everything is signed in Greek and English including videos. Impressive, reserve plenty of time. Workers were strange. We got a lot of warnings from them, that we didn't deserve. For example we were not allowed to carry my own kid on shoulders for a moment! We just w show him a model of Knossos palace, and he wasn't tall enough to see it properly. Why?? Or my kid was warned because he toughed glass box with exhibited items - all right, I can accept it, rules are rules, but a 30seconds later German group of tourist were all touching it a lot, not once! and taking pictures with flash, and that lady said nothing! Later I was asking question about items to get extra info (exactly about colouring substancies they were using in old times ), and asked worker said she has no idea and hasn't been taught of it. I got impression that the larger group of tourist were there together, the more they were allowed. This are only examples, almost in every room we got irritated. I can understand they all workers are tired of crowds and maybe irritated too, but rules should be equal for everybody. Not clear what is really allowed there. Every day, we help thousands of travelers plan great vacations. Here are some tips on how to use your Listing Page to attract more travelers to your business - Heraklion Archaeological Museum. Promote your permanent link - https://www.inspirock.com/greece/heraklion/heraklion-archaeological-museum-a47445379 - on your website, your blog, and social media. When a traveler builds a plan from this page, the itinerary automatically includes Heraklion Archaeological Museum. This is a great way for travelers looking for a great vacation in your city or country to also experience Heraklion Archaeological Museum. Promoting your link also lets your audience know that you are featured on a rapidly growing travel site. 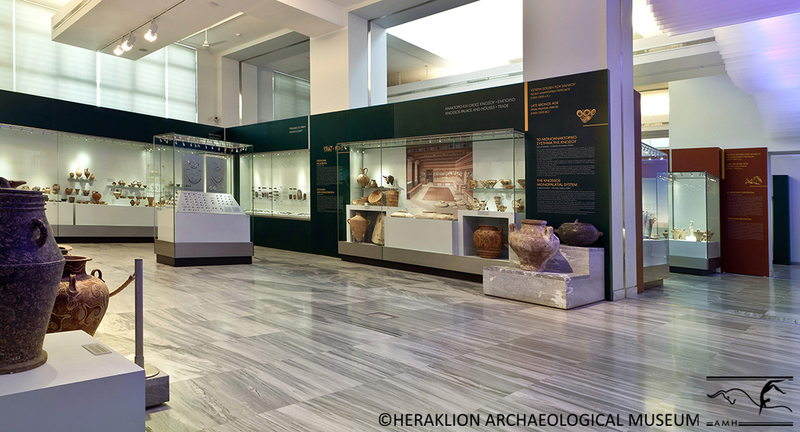 In addition, the more this page is used, the more we will promote Heraklion Archaeological Museum to other Inspirock users. 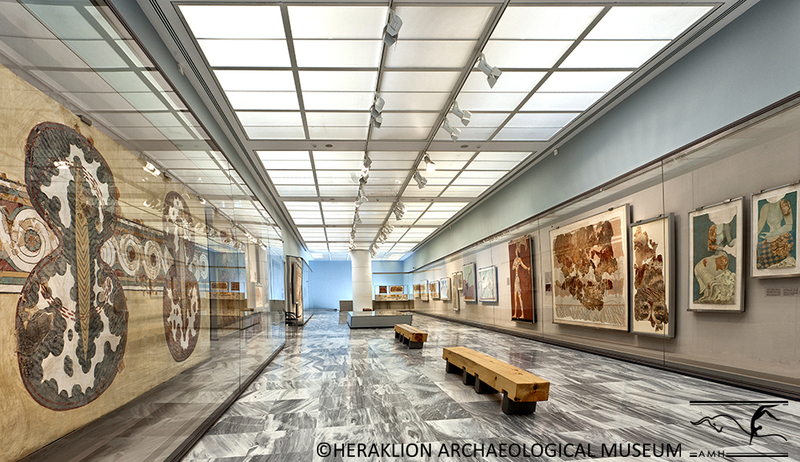 For best results, use the customized Trip Planning Widget for Heraklion Archaeological Museum on your website. It has all the advantages mentioned above, plus users to your site can conveniently access it directly on your site. Visitors to your site will appreciate you offering them help with planning their vacation. Setting this up takes just a few minutes - Click here for instructions.